• To provide a suitable weight spreading structure to enable two x 270 ton Macchi Boilers to be loaded on the Hatchcovers of an MPV Heavy lifter. • The combined boundaries – the vessel hatch strength capacity, a high CofG, and a small cargo footprint. 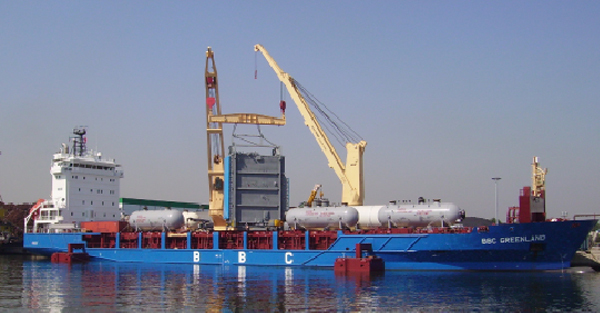 • Vessel motion analysis based on the vessel particulars and loading condition provided in the stowage arrangement. • A technical report is provided to the Port Captain’s with position’s to locate the HEB’s, weld locations, and cargo positions. • Assistance to the surveying company to enable signing for a safe passage in way of the provided analysis indicating the hatch strength and stress values. • MBM Consultancy Ltd identified all the structural and regulation issues, and then proceeded to resolve all issues and provide a workable, cost effective solution. The reports included, lifting lug calculations, structural strength calculations for the cradles, the cradle stoppers, and the hatchcovers. 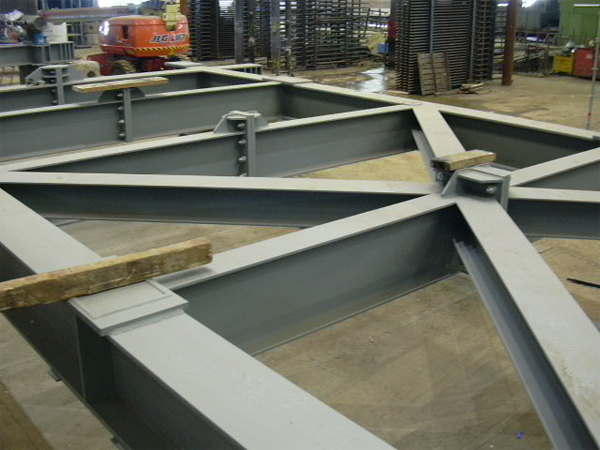 These structural strength calculations included the stress, strain, deflection, buckling, and weld strengths. 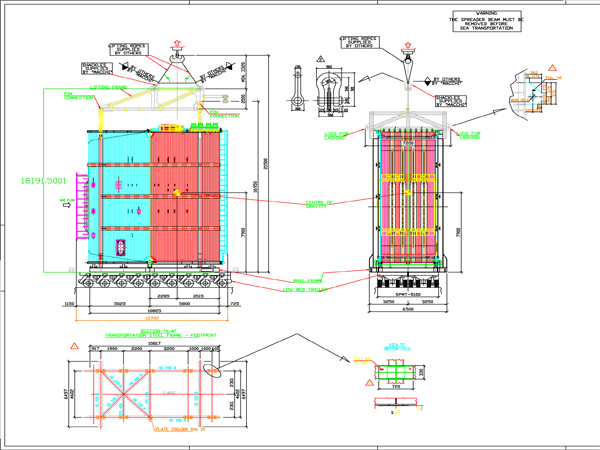 The reports also provided the final manufacturing engineering drawings for the cradles and stoppers, and the stowage locations of the cradles to assist the Port captains during the loading operations. 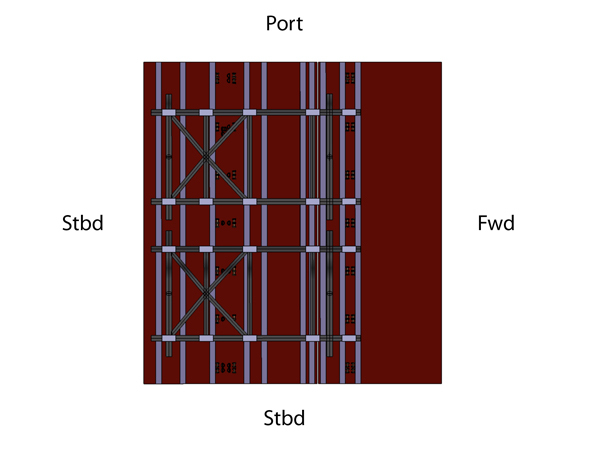 The 3D stowage plan shows the optimised layout that was gained from undertaking vessel motion analysis and force flow analysis through the cargo cradle, the HEB’s, into the vessel hatch structure and to the Hatch coamings. All the heavy cargo’s shown in the picture required weight spreading. We assessed each one individually, and combined where required.